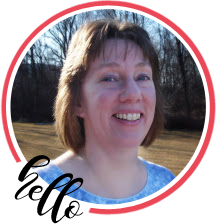 Welcome to the RRR January Blog Hop. 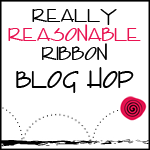 This month the Really Reasonable Ribbon Monthly Ribbon Club Assortment celebrates love. I just love all the pretty pinks. Isn’t it sweet??! This month I decided to do a little weaving with some of the ribbons from the assortment. I cut out a heart shape with my Spellbinder Heart Dies and then cut some short pieces of ribbon. I attached one piece at a time and created a pleasing weaving design. I topped it off with a pretty bow using my all time favorite crafty tool, my Bow-it-All from Zutter. I also used the Bow-it-All to make the tiny little loopy bow at the bottom made from White Iridescent Metallic String. Here is a close up of the weaving. Love this card and how you wove the ribbons to make the heart! This is so sweet! I love the woven heart! Good idea…first time on the blog hop, I am your newest follower! Love this card! Now I want to try that weaving technique! Also, thank you for the videos showing how to use the Bow-It-All! I had purchased it, but couldn't seem to create a good bow following the directions in the handbook that comes with it! I watched your videos, and Voila! I can do it now! Aren't you the clever one! Love this woven ribbon heart. What a great idea to showcase all those yummy ribbons! Now why didn't I think of that? love the ribbon weaving–really shows off the RRR products. Clever idea, weaving the different ribbons inside the heart. Thanks for sharing. Love the heart ribbon idea so beautiful with all the different ribbons I will have to try this out. Love the weaving and the open heart placed into the bottom trimming. Very pretty and great use of the ribbon. wow, the weaving is super!